VETERAN CDHBU midfielder Shannon Broadbent has been left devastated after fracturing his ankle. Broadbent’s season came to a halt after he had a plate and two screws inserted in his leg during surgery earlier this week. 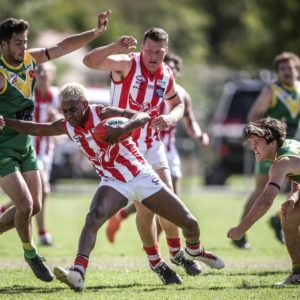 The 38-year-old Melbourne concreter and landscaper was injured during the final quarter of Power’s recent clash against Rand-Walbundrie-Walla. “It’s not great news,” Broadbent said. “I was going in to get a cast put on but another X-ray showed I needed a plate and screws so I’m pretty much done. “I haven’t been injured in my whole career. Broadbent has been instrumental in CDHBU’s climb up the ladder with the Power set to miss him as they push for a spot in the top six. They take on Howlong at Howlong on Saturday. “It’s going to be disappointing not being a part of it,” he said. “I was playing some pretty good footy and kicking a few goals so it’s a bit of a kick in the pants. In arguably the round of the season, in-form Brock-Burrum will look to keep their top-two aspirations alive by defeating Jindera at Jindera. The Saints ran over the top of Osborne last weekend with coach Kade Stevens believing Jindera will be equally as tough to beat. “It’s really tight and Jindera is obviously second for a reason,” Stevens said. Bulldog full-forward Trent Castles had a rare quiet day last weekend and the outcome could depend on whether Jeremy Luff can keep him under control. Henty will look to continue its barnstorming run by defeating Osborne at Henty. 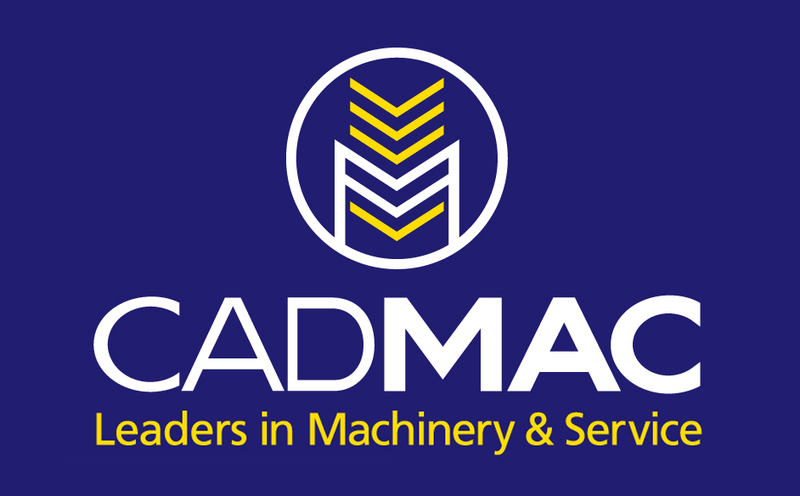 The Swampies haven’t lost since going down to Culcairn on May 9 with Jarrah Maksymow and Damian Cupido proving unstoppable. They took the unprecedented step of playing a man short last weekend and will again face a juggling act if Maksymow, Cupido, Daniel Cox, William Farrer and Jared Brennan are all available for selection. 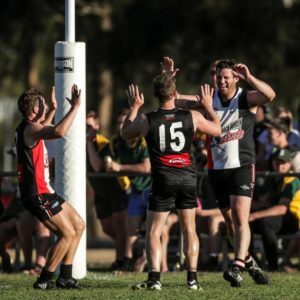 Rand-Walbundrie-Walla take on Lockhart at Walla, Billabong Crows and Murray Magpies can stay out of wooden spoon territory by posting a win at Urana Road Oval and Holbrook is favoured against Culcairn. No team will be able to play one short after a loophole has been closed. Henty created history when it fielded only 20 players against Howlong last Saturday as it had already compiled the maximum 38 player points. The Swampies had requested dispensation from the league’s governing body – AFL NSW-ACT – for that game and it was approved. It didn’t have an impact as the Swampies hammered Howlong by 80 points. However, all teams will now have to utilise the full complement of player points. “There was reference to the by-laws, but no reference to the points system,” AFL NSW-ACT community football and facilities manager for southern NSW Paul Habel said. “It was an administrative error and that has now been rectified. “Henty is well aware of it, the Hume League is well aware of it and we’ve dealt with the issue in consultation with the league and AFL NSW-ACT. The Hume League faces a crackerjack round on Saturday with nine teams still chasing the six finals spots. Ladders leaders Henty is home to the premiers in fourth-placed Osborne. The Swampies boast two of the top four leading goalkickers in ex-AFL player Damian Cupido (58) and Jarrah Maksymow (33). Henty has lost just the one game. Top three outfits Jindera and Brock-Burrum meet, while fifth-placed Holbrook travels to Culcairn, which is holding down the final berth. Rand-Walbundrie-Walla trails Culcairn by just two points and it could well force its way into the six if if topples cellar-dwellers Lockhart. Eighth-placed CDHBU is away to Howlong, which retains an outside chance of pushing through to September action as it’s two wins out. Murray Magpies’ home game against Billabong Crows is the only game with no impact on finals. Rand-Walbundrie-Walla unveiled their new electronic scoreboard against Billabong Crows last weekend. Officials set up the scoreboard on the eastern side on the ground. It is believed several other district league clubs are in the process of purchasing a similar scoreboard. Henty’s Sam Terlich has accepted a one-week suspension for striking against Brocklesby-Burrumbuttock. The case was initially put back a week after the Swampie fell ill with delayed concussion. Terlich then decided not to contest the case due to his health. Holbrook forward Jayden Beaumont is out for the season. Beaumont went down several weeks ago with a knee injury which has made the Brookers’ forward-line even smaller. Mid-sized forward Andrew Mackinlay leads the club’s goalkicking with 28 majors. Culcairn star Jye Shields will miss the Lions’ crunch match against Holbrook at Culcairn on Saturday. Shields, who was best afield against Lockhart last weekend and is one of the favourites for the Azzi medal, is holidaying overseas. He will be available for the following round with the league having a general bye next weekend. Shields and the Hallinans has been outstanding for the club since arriving from Kiewa-Sandy Creek. 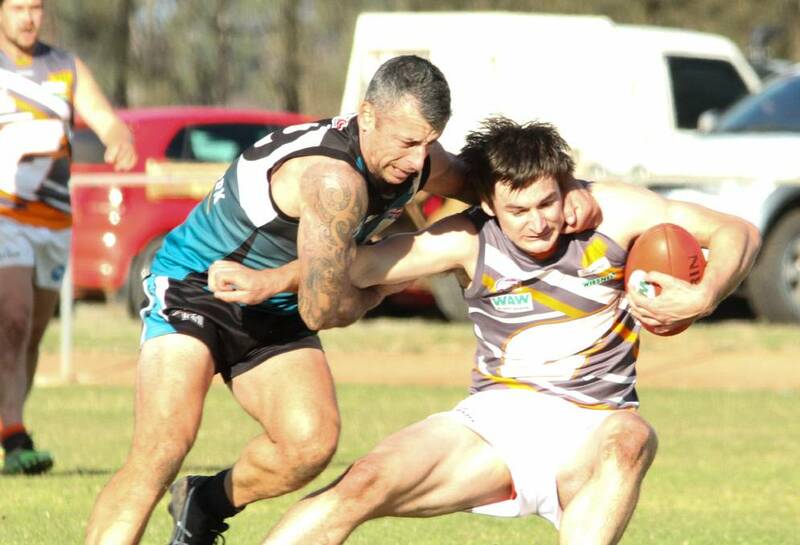 Holbrook can virtually stitch up a spot in the finals by defeating its rivals this weekend.